Monrovia Now: News and Comment about Monrovia, California: City Installing 16-Inch Water Pipe In North Monrovia; Easter Egg Hunt; Fountain to Falls; Tip a Cop; Etc. 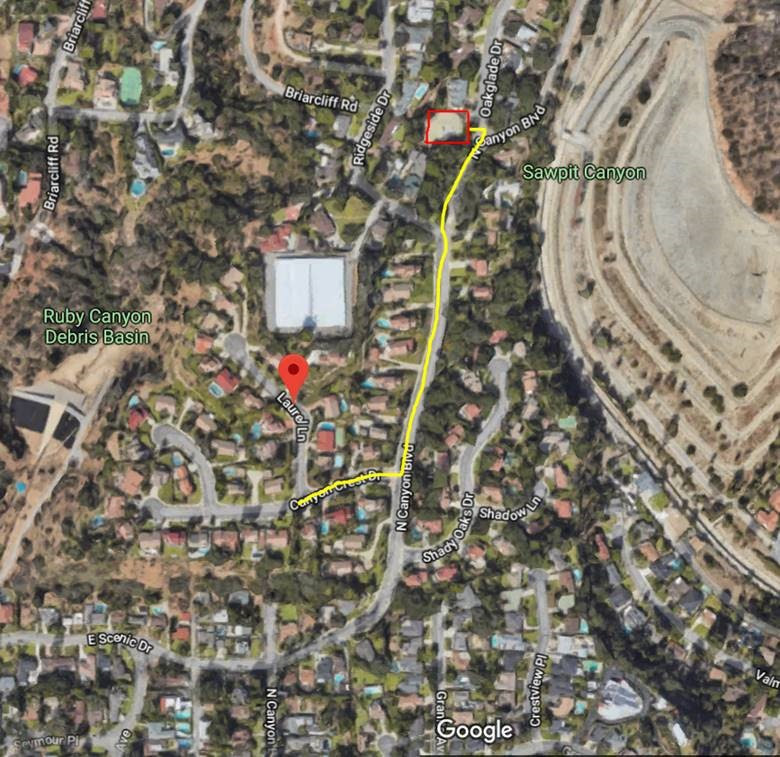 City Installing 16-Inch Water Pipe In North Monrovia; Easter Egg Hunt; Fountain to Falls; Tip a Cop; Etc. ~ Spring Egg Hunt & Healthy Kids Day will be April 20. There will be arts and crafts to face painting, carnival games to a petting zoo, wellness activities to healthy lifestyle demonstrations, and toddler to teen activities. Registration for the Easter egg hunt will begin at 9 a.m. For more information call the Department of Public Services at 256-8246. ~ The 2019 Fountain to the Falls Run/Walk & Health Fair, a 6.38 mile out-and-back race from the Library Park fountain to the Canyon Park waterfall, will be held Saturday, May 11, at 7 a.m. Registration is $45. For additional information contact the Monrovia Community Center at 256-8246. ~ Tip-A-Cop. The Monrovia Police Department will host a fundraiser to benefit the Special Olympics on Thursday, April 11, from 5-9 p.m. Police and LA County deputies will be servers at Claim Jumper (820 W. Huntington). All tips will be donated to the Special Olympics. ~ This week AT&T will be poking around in 24 manholes around town to test the capacity of their fiber-optic lines. ~ A workshop on how to make a 30-second public service announcement will be held on Wednesday, April 17, from 6 to 7 p.m., at the Community Media of the Foothills studio at 847 E. Olive (the Mary Wilcox Youth Center). To learn more or to RSVP call 357-4974 or email kgemtv@gmail.com. ~ 2019 is the 10 year anniversary of the new Library building. 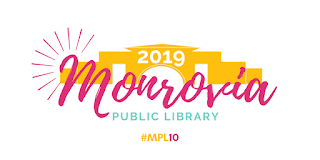 To celebrate, the Monrovia Public Library will be labeling social media posts and promotional materials with #mpl10 and with this design created by Youth Services Librarian, Anush Balayan. ~ There will be an informational meeting about the Monrovia Community Garden on Saturday, April 13 in the Library Community Room from 9-10:30 a.m. The Garden is a joint project between the city and Mountainside Communion Church, and the garden will be on the church property. There will be private raised beds for rent, educational workshops, community engagement, and public demonstration gardens.